The wiring harnesses are plug and play without cutting of wires and do not require any advanced knowledge of BMWs or electronics. 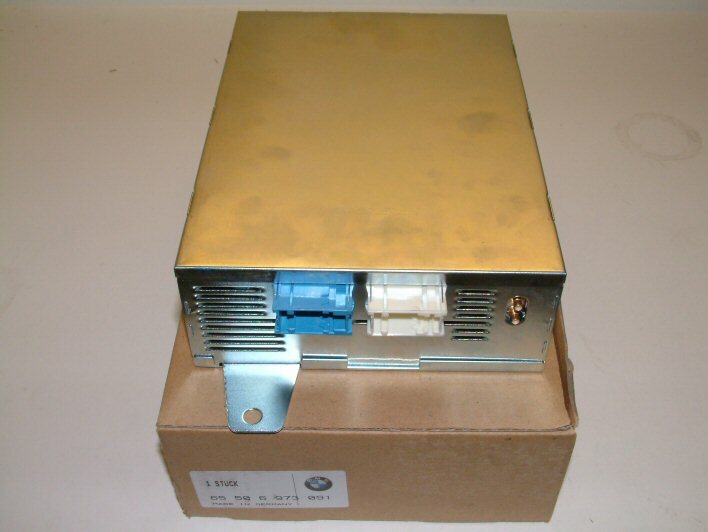 The BMW Video Module is an OEM version of the VDO Dayton TV 5000 TV Tuner with BMW-specific software. The BMW 7 Series E38, 5 Series E39, X5 and E46 3 Series (except Convertible) with navigation are factory equipped with the BMW TV video module mounting bracket. The official screws from BMW are listed below. The TV cables come standard with inputs Audio Video input/output RCA cables for video input/output/backup camera support. 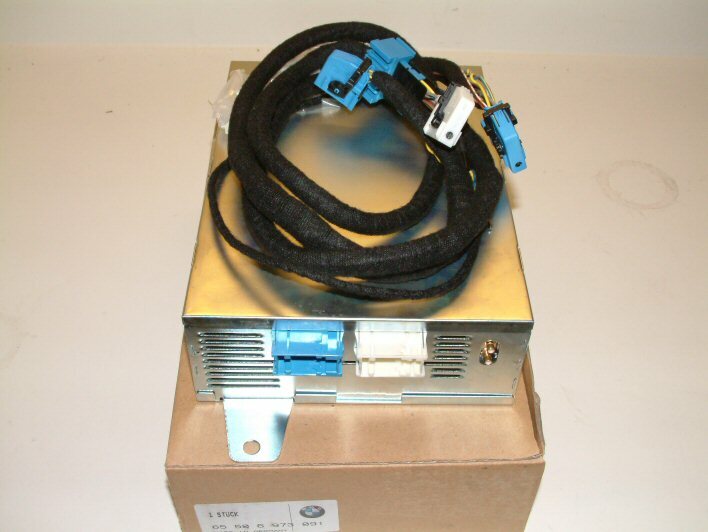 If you would like to have TV in motion on your navigation monitor, you will need a BMW TV in motion module, which are not provided with out kits. Once the navigation drive has been removed, gently remove the whole trim piece. 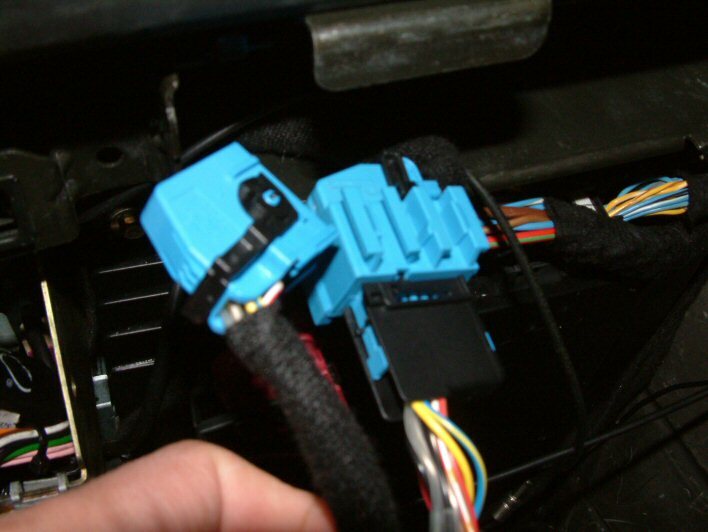 If using the Bimmernav wiring harness. To complete the install you will need to remove the blue connector from the back your navigation computer, connect this plug to the harness. 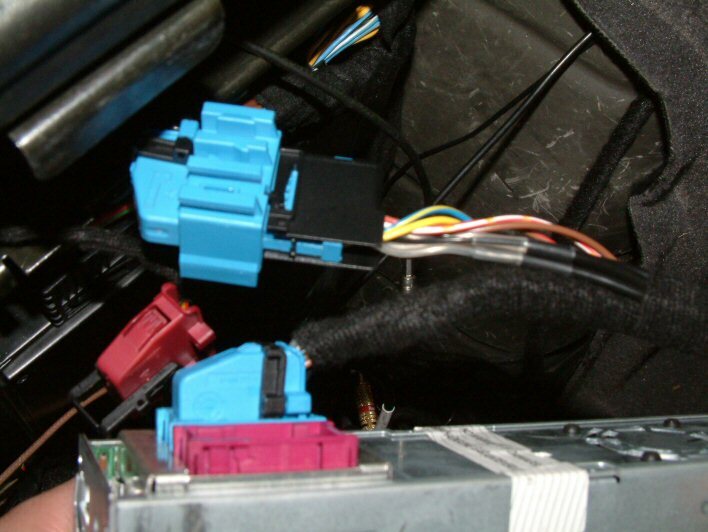 Next, take the Blue connector on the NEW wiring harness and plug it into the Car’s navigation computer. 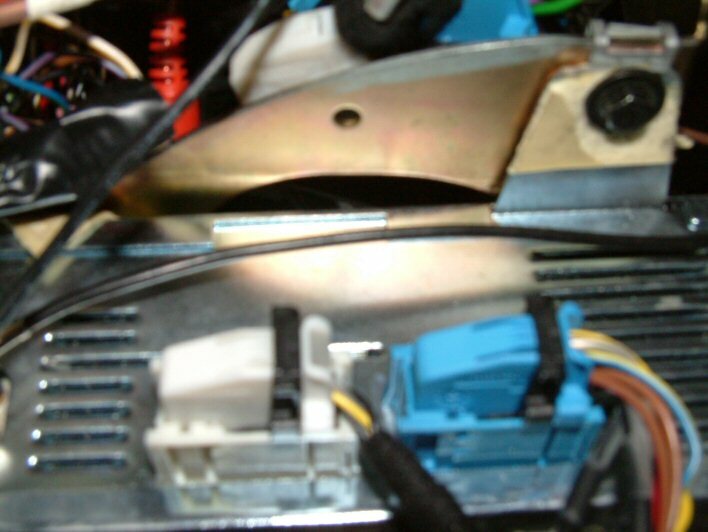 On the other end of the television harness connect white connector into the white of the TV video module and the blue plug into the blue plug of the Television module.